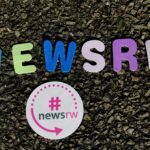 With around seven weeks to go until the next newsrewired digital journalism conference, Journalism.co.uk is pleased to announce Emily Dugan, senior reporter for BuzzFeed News, will be joining the open panel discussing the staying power of journalism beyond the news cycle. 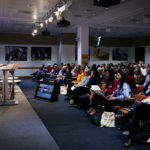 With just under two months to go until our next newsrewired digital journalism conference, which takes place on 11 July at Reuters in London, the team at Journalism.co.uk is pleased to announce four more speakers who will be joining us on the day to discuss the latest trends and techniques for newsgathering, storytelling and engaging the audience. Tickets for the event are currently available for £180+VAT. 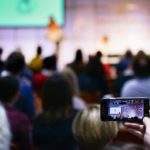 Practical learning is at the heart of newsrewired, and the day before our next conference, which takes place on 11 July in London, Journalism.co.uk will be hosting a full day of training to enable delegates to get hands-on experience of building an Instagram strategy, and storytelling in 360-degree video. With a newsrewired+ ticket, you can attend one of the two training courses on 10 July, and the full-day conference on 11 July for just £368+VAT. With just over two months to go until our next newsrewired digital journalism conference, Journalism.co.uk is pleased to announce three more speakers who will be joining us on the day to share practical insights and discuss the latest trends and techniques in digital journalism. Editorial newsletters and mobile journalism are just some of the topics on the agenda at the next event, taking place on 11 July at Reuters in London.